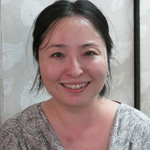 Chiba, Moe, Programme Specialist for Culture at UNESCO (United Nations Educational, Scientific and Cultural Organization), has been appointed since August 2006 to coordinate the Culture unit of UNESCO New Delhi Office for Bhutan, India, Maldives and Sri Lanka. She looks after programmes on World Heritage Sites, Intangible Cultural Heritage, Cultural Industries and Heritage Tourism among others. In 2011, while on sabbatical leave from UNESCO, Chiba worked and travelled to several parts of India and South Asia to gain understanding on the grass-root reality, and to explore the possibility of introducing culture-based development for rural areas.